1. The dehumidifier does a great job in removing moisture from your basement, very fast. 1. Its lack of a continuous mode of draining the moisture is disappointing. Having been disappointed quite a few times with the number of dehumidifiers I’ve bought for my home, I decided to try out something new out of my traditional choices. 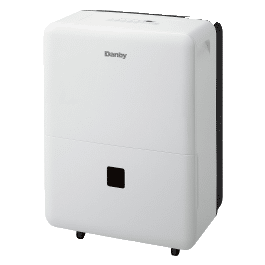 One of my friends recommended Danby DDR70A2GP Dehumidifier which, according to her review, was one of the best dehumidifiers she got for her home. Well, turns out that the dehumidifier also turned out to be great for use for my home, especially the basement. While checking out the dehumidifier on-line, I was impressed by its sleek design. 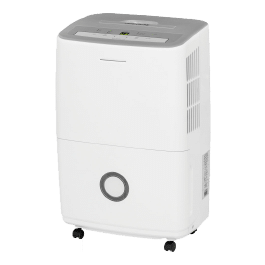 The dehumidifier, just like many other dehumidifiers is made of plastic material, is very portable and is large enough to hold up to 70 pints of moisture from your room, in a day. It also has rolling legs to make it easier to move it around with little effort. A corrugated drain hose made of plastic that is 7 ft long. This feature is made possible using an LED light which shows the temperature that that particular room where it is placed displays. It also has a feature that helps you switch between reading the temperature in degree Celsius and Fahrenheit. At lower temperatures, the dehumidifier is likely to accumulate frost on its evaporator coils. However, with its defrost mode turned on, the frost will easily be removed through the dehumidifier’s compressor’s shutting off and the fans continuing to run, thus removing the frost from the coils. The Danby DDR70A2GP Dehumidifier features a 7 foot long corrugated drain hose. A closer review of this shows that you can only drain the dehumidifier for distances of up to only seven feet. Longer than that and you will have to use your own garden hose pipe. I thought that the dehumidifier would have a saving grace of perhaps a pump to help drain the water but no, it does not feature a pump. You will have to buy a pump separately from the dehumidifier. Otherwise, you can make do with the provided hose pipe. The dehumidifier does a great job in removing moisture from your basement, very fast. Its hygrometer, as compared to many other dehumidifier hygrometers is very accurate! As compared to other manufacturer’s warranty, the dehumidifier comes with a 2 year warranty, as opposed to a one year warranty. 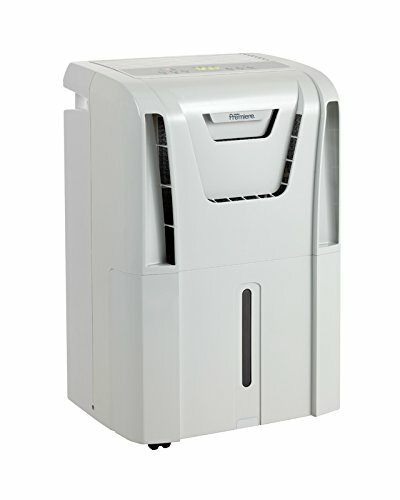 Its size and the energy it consumes is far more efficient when compared to other 70 pint dehumidifiers. It features a separate temperature display that uses LED light. Its lack of a continuous mode of draining the moisture is disappointing. It is also low on value. It costs much but the value you get is little. 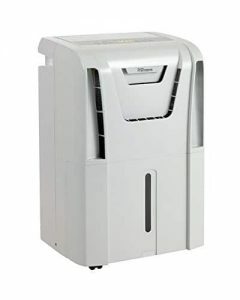 Looking at the best dehumidifier for basement ratings, this particular model rates very low among many customers. Its LED temperature display is very clear. It is also easy to set up. Its filters are also not so hard to remove, and you probably won’t be needing to remove them that often anyway. Its manual is also very easy to read and follow. 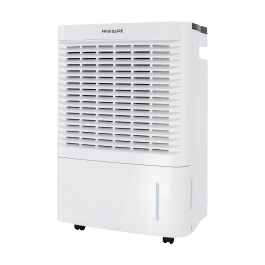 Looking at the performance of most dehumidifiers that are similar to Danby DDR70A2GP Dehumidifier, the energy consumption of this dehumidifier was by far the most efficient of them all. On normal days, it consumes power of between 550 and 750 watt. This makes its usage to be much cheaper than most of the 70 pint dehumidifiers. 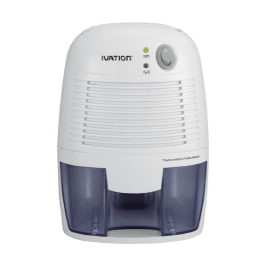 Thus, it’s high initial cost and less value finds a saving grace in the minimum power it consumes, thereby minimizing the power bills brought on by using dehumidifiers every day. As mentioned earlier, the manufacturers have gone a mile ahead of other dehumidifier manufacturers by giving it a 2 year on its dehumidifier as well as a 30 month warranty on its plastic parts. This gives it a bonus above the other dehumidifiers. Any concerns that one might have in the product breaking down are covered with this 2 year warranty. The warranty, however does not cover for annual maintenance and the unit’s installation. Well, apart from the rant on its expensive price and a lack of a much convenient pumping system, the dehumidifier scores high on quality as well as power consumption. 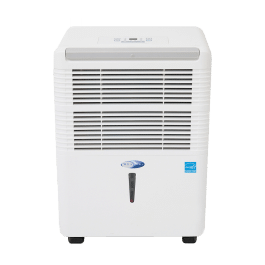 Its control panel is unequivocally, in my opinion, very superior, plus it removes the excess moisture much faster than most similar dehumidifiers. Its hygrometers also takes many points home, given that most other dehumidifiers do not always give a reading that is as accurate and as close to the actual temperatures. Furthermore, you can easily set the humidity levels to ranges of 30% in low and 90% in high. Well, I would definitely recommend this Danby 70 Pint Dehumidifier to those who have a high priority in saving energy. If the pump system just does not work for you, buying a separate system might work, but only if you have the money. You also stand to benefit if removing the humidity from your basement or room is needed to be carried out much faster. The product’s warranty is also another plus, should the unit become defective due to the manufacturer’s faults. Q: How long is Danby DDR70A2GP Dehumidifier’s electric cord? A: The electric cord is about 6 feet long. It is long enough to be connected to your home power source. Q: Does the dehumidifier have an auto start in case of power failure? A: Well no, the dehumidifier does not have an auto start, you will have to manually start it up when the power starts again. Q: Is this Unit Only Suitable for Basement Use? A: Owing to its loud nature, the dehumidifier is best used for basements. It is not highly recommended for use in living areas where the noise will distract or annoy most people. good posts,the good article haha! Share the awesomeness with your friends too.